Two Introductory Classes - Come try two MSK classes, including a private introductory with a certified black belt instructor. These classes are designed to introduce you and your child to the school, and give you the opportunity to get a feel for our classes. FREE MSK Uniform - Receive an official MSK uniform with this introductory special (a $35 value). Pick up the phone and call 573-382-4244. 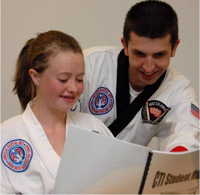 We'll answer any additional questions that you may have and schedule a special time for a black belt instructor to work with you and your child. Looking to participate in a sport that builds self confidence, discipline, fitness, and strategic thinking, Martial Arts can enhance your life! Whether you are looking for competition, self defense, or simply to be more healthy, we have the program for you!